After leaving Cyprus and after a little voyage, The Tor III Couldn't survive to the storm, tornado and to the wind and drifted. The storm take her to the area known as "Sunken Island" near half mile of Kemer, Antalya. Beaten by huge waves, Tor III totally lost control and sunked at 04:45 in the morning of 22nd January 2004. They managed to send an S.O.S. But even after this the rescue teams couldn't reach to the survivors because of the bad weather. Eight survivors had to wait for an other 13 hours for the rescue opretaion to begin. But luckily, after 13 hours, all of the survivors had been rescued by the rescue team and immediately taken to hospitals around. No person lost on this accident. 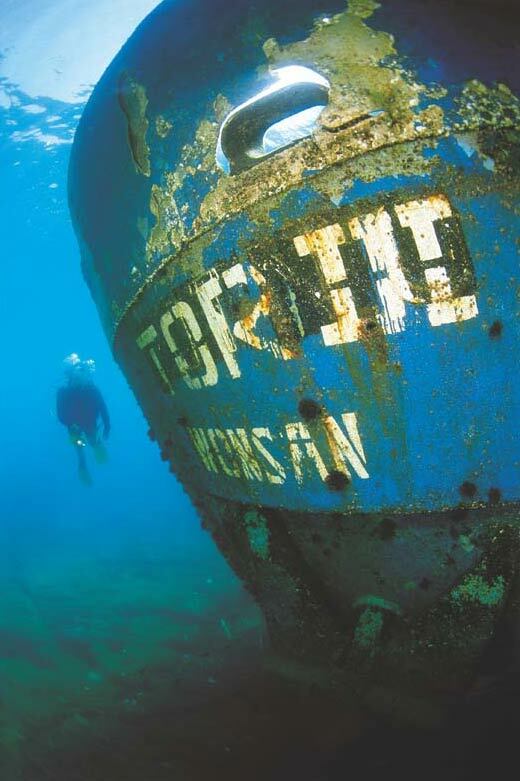 With the time passing, The wreck is becoming more of a wreck and the life around the wreck gets growing making the wreck a good artificial reef. In early hours in the mornings, it may be possible to see Mediterranean Monk Seals around the wreck.